GE is building the world by providing capital, expertise and infrastructure for a global economy. GE Capital has provided billions in financing so businesses can build and grow their operations and consumers can build their financial futures. We build appliances, lighting, power systems and other products that help millions of homes, offices, factories and retail facilities around the world work better. 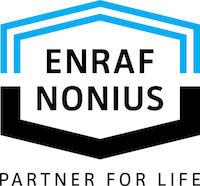 Enraf-Nonius is market leader in the world of physiotherapy and rehabilitation. We deliver products and services of the highest quality according to the most advanced techniques and make these products available world-wide via our comprehensive, international distributor’s network. By handling the highest possible level of quality and service, we enable health centers to look after their patients and clients in the most effective and efficient way, and therapists to guarantee their treatments on a daily basis. We are a high-tech company that focuses on manufacturing technology, laser technology and medical technology. We offer our customers both innovative and high-quality products, as well as solutions to their problems – in sheet metal processing, laser-based production processes, electronic applications and in hospital equipment. Our expertise in these fields provides the competitive edge our customers require. Founded in 1947 in le Mans - France, Villard is one of the leading company in designing, manufacturing and selling hospital furniture. Every day we develop our trolley range with new material and new ergonomic design matching each specific needs. Today we produce and sell more than 1000 references in 10,000 healthcare centers. Our products are made in the respect of professional use and for the welfare of the patients. Hill-Rom is a leading global medical technology company with approximately 10,000 employees worldwide. 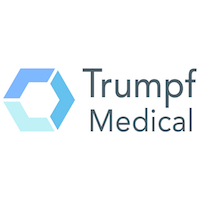 We partner with health care providers in more than 100 countries by focusing on patient care solutions that improve clinical and economic outcomes in five core areas: Advancing Mobility, Wound Care and Prevention, Clinical Workflow, Surgical Safety and Efficiency and Respiratory Health. Alfa Health Care is the agent of a diverse range of multinational pharmaceuticals and medical companies in Libya and North Africa, offering specialized products and services to the health care industry. © Copyright 2019 Alfa Health Care. All Rights Reserved.